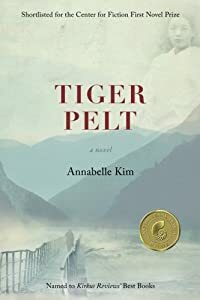 In this powerful debut, a successful businesswoman embarks on a journey of self-discovery that will shake her to the core. Like the shiny new BMW parked in the driveway of the Silicon Valley home she shares with her husband, Matt, and their two boys, Susan Sinclair exudes confidence and style. Newly promoted to a prestigious Senior Vice President position at her firm, Susan is the picture of personal and professional success. Yet appearances are deceiving. With each advance in Susan's career, Matt has grown more distant. But he refuses to admit there is a problem,and Susan, determined to give her boys the close-knit family life she never had, forces herself to play along. Then she meets her new boss, Reese Kirkpatrick. She and Reese become a crackerjack team, but little by little, pleasure mixes with business. For the first time in a long time, Susan feels seen and appreciated for who she is. In a moment of weakness,friendship becomes something more. Now, unable to stomach the façade her marriage has become yet unwilling to decimate her family by moving forward with Reese, Susan faces a choice that could cost her everything--including her children . . . but possibly bring her more than she can dream. 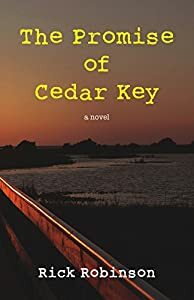 Award-winning author, Rick Robinson, takes his readers to Cedar Key, Florida, where successful novelist, Bobby Wade, must put aside the hustle and bustle of a writer's life in New York City just long enough to fill a promise he made long ago. In the few days he must spend in the small coastal town, Wade faces demons he never knew existed and would rather drink them away than fight. Popular for his political thriller series, Rick Robinson departs from thrillers to pen this second drama about the struggles of coming to terms with the state of one’s life. When Ben Ava, a struggling medical student facing insurmountable financial worries, receives a scholarship offer for a Medical Center in Memphis, he thinks that his tenuous future is finally secure. But Ben's past will not leave him alone. His fellow scholarship winner is his old friend Brenda--a young medical student with extraordinary talent whose troubled past has made her self-destructive and dangerous. In Memphis, their lives become increasingly tangled as Ben is pulled into Brenda's orbit. 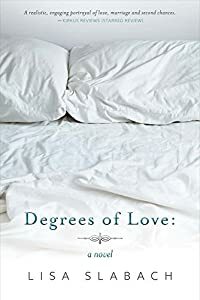 Soon, he finds himself risking his medical education, his new romance, and his entire future in the hopes of steering himself and Brenda through the tumult of their shared loneliness and trauma. 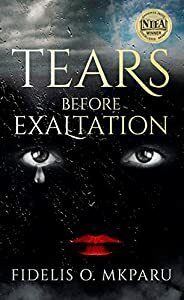 Tears Before Exaltation is a literary drama about coping with the past, surviving the present, and the blurred lines between courage and insanity, hate and love. Sidney McQueen flees to the small, west Texas town of Alpine to escape the most dangerous man she's ever known - her estranged husband - a powerful attorney with ties to Mexican drug cartels. When circumstances throw her into the path of Markus Yeager, he is immediately suspicious. And, when Sidney reveals she is in possession of something her soon-to-be ex is hell-bent to retrieve, Markus becomes embroiled in a world he thought he had left far behind. A former Marine turned CIA operative, Markus has a top-secret past with the physical and emotional scars to prove it. He is drawn into Sidney's life-or-death situation, where weapons, drugs, and money are the only gods - a world where dangerous traffickers stop at nothing to get what they want. As their mutual need draws them closer, Markus and Sidney discover a deadly predator whose web of treachery leads to terrifying violence. 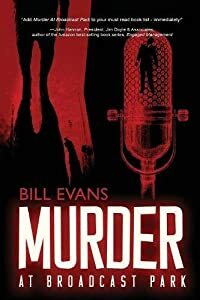 In a frantic race against time, can they stay one step ahead, expose a dangerous cartel, and bring a murderer to justice? 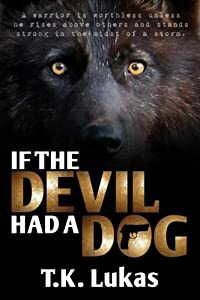 IF THE DEVIL HAD A DOG - an explosive psychological thriller that sinks its teeth in and never lets go. A Blazing Gilded Age is the epic story of a volatile nation burning with ambition, yet bleeding with injustice. It was a time of profound change, boldly transforming from an agrarian backwater into an industrial powerhouse. During the Wozniaks’ quest they encounter many icons, including Theodore Roosevelt, J.P. Morgan, Andrew Carnegie, Mark Twain, Nikola Tesla, Presidents Garfield and McKinley, Buffalo Bill, and many others, thus painting a broad and vivid canvas of 19th century America. Springing to life is an era boiling with bravado, yet blistering with greed, as innovation and military might coincide with child labor and class warfare. After many unexpected twists of fate—some fortuitous and others heartbreaking—the Wozniaks emerge victorious, thus finally achieving the American dream, yet not without scars. 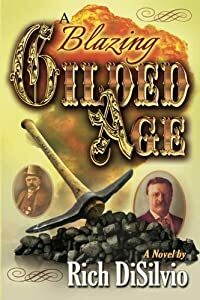 Both powerful and poignant, “A Blazing Gilded Age" serves as an entertaining and enlightening read of how and why America has gone astray, and why it became a world leader. While at its core, it imparts the harrowing, yet triumphant, tale of a family's struggle to survive in an age that, in many ways, was as dark and rough as coal and at times could be as blazing as Hell. Kindle Book Awards fiction winner. Dementia is a family affair with the power to harm and heal in this intimate medical drama that reads like a cross between Still Alice by Lisa Genova and The Glass Castle by Jeannette Walls. "A profound analysis of complicated family dynamics ... gripping" (Kirkus Reviews). Favorite daughter Elizabeth Miller wants to do the right thing when faced with a family crisis. 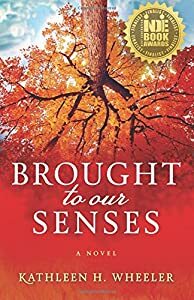 Her beloved mother Janice receives a deadly Alzheimer's diagnosis, and her troubled siblings tailspin toward their last resort with disastrous fallout. Elizabeth soon exposes her mother's long-held secret, which lies at the root of her family's problems. 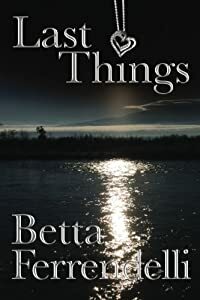 With the parents and siblings she thought she knew turned upside down, she struggles to find her way back home through the heartland of elder care in this realistic and poignant family portrait as memorable as The Notebook by Nicholas Sparks and as touching as The Things We Keep by Sally Hepworth. Will Elizabeth and her family survive a heartbreaking past and their mother's tragic fate? Exploring the importance of family and healing power of forgiveness, Brought to Our Senses is the critically acclaimed winner of six literary awards for fiction: Kindle Book Awards, Writer's Digest Book Awards, IAN Book of the Year Awards, Wishing Shelf Book Awards, Readers' Favorite Awards, and Next Generation Indie Book Awards. Literature & Fiction Categories: Medical Fiction, Alzheimer's Disease, Family Life, Family Sagas, Domestic Life, Mothers and Children, Sisters, Eldercare, Divorce, Siblings, Aging Parents, Family Relationships, Contemporary Women, United States/American. Bridgette Connor is a woman on the edge. 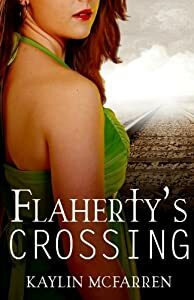 Her career is in tatters, her relationship is doomed, and after an ill-fated pregnancy, she does the one thing she’s always done best. She runs. Her car careens off the road leaving her battered, bruised and beaten. It is then that she meets the woman who will change her life. Alexis Parker is a woman in control. Her business is thriving, her friends are by her side and the daughter she refused to abandon is the happiest little girl in the world. When the bloodied and broken Bridgette Connor collapses at her door, Alexis does the one thing she’s always done best. She helps. Last Things is a story of two women, the story of how they are different and how they are the same. It is a story of love, a story of loss, and above all, a story of friendship.